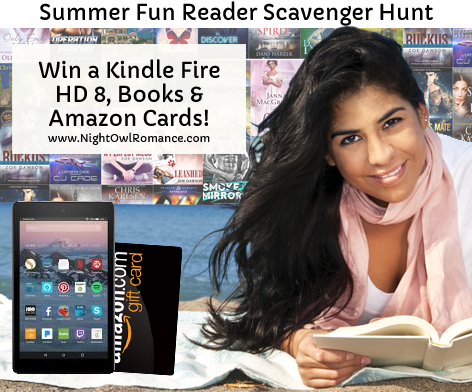 The summer Scavenger Hunt and prize giveaway is up and running at Night Owl Reviews. 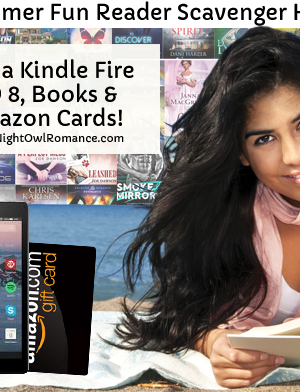 They’re giving away tons of books, Amazon gift cards, and a Kindle! Be sure to enter and participate. You can win some great books to take along on your summer beach vacation! Have you read my “Forever” series yet? As part of the event, I’m giving away a copy of Book 1, FOREVER YOURS!